Acciai Speciali Zorzetto has 6 different drawing plants. The drawing process is a process for cold permanent plastic deformation which causes the metal to the state hot rolled to a reduction in section thanks to the application of the force exerted by a special equipment of a defined matrix-section either round, square, hexagonal or special profile. 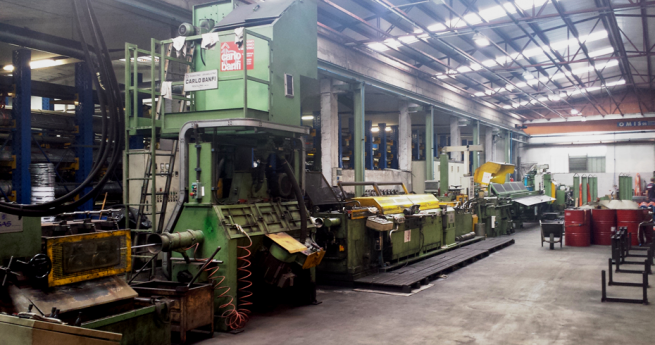 Each line is complete with an automatic mechanical blasting prior to the operation of drawing, that in addition to the defined length shearing machine, rolling, facing and chamfering line allows us to meet every need.